Queen duvet cover (88" x 88") featuring the image "Fishing Village 3" by Nancy Nuce. Our soft microfiber duvet covers are hand sewn and include a hidden zipper for easy washing and assembly. Your selected image is printed on the top surface with a soft white surface underneath. All duvet covers are machine washable with cold water and a mild detergent. There are no comments for Fishing Village 3. Click here to post the first comment. Thank you for looking. 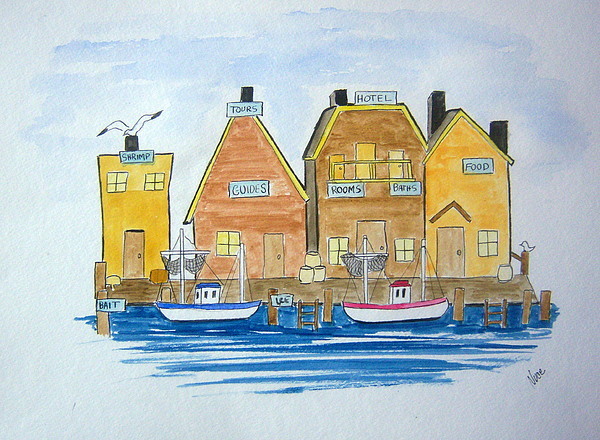 This is an original watercolor painting from the "Fishing Village" Series by Florida artist Nancy Nuce. I�ve been painting for many years in both watercolor and acrylics. I�ve won awards and sell my work in galleries, at shows and over the internet. I hope you like it. 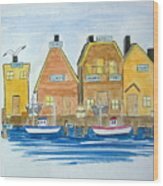 Painted on high quality Canson Montval watercolor paper, it measures approx.11 x 15 It is signed by the artist Colors may not appear as they truly are on some monitors. All artwork is copyright by the artist, Nancy Nuce. The copyright does not transfer with the sale of this painting. I am a visual artist currently living in Southwest Florida. 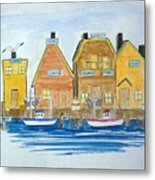 My love of the water is reflected in many of my paintings. I enjoy experimenting and sometimes create unusual items. I hope you enjoy my site. I would love to hear from you.